Here are some of the questions we received from our customers this week. Hopefully these will help you as well as you are researching convertible tops! 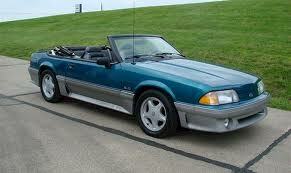 Question: We are re-doing a 1993 Mustang for my daughter's birthday. If we change the color of the top, do I need to buy the window section? Her window section is in good shape, but it is black; we want to go with tan. Do you have a special price for packaged items? We need a headliner, pads, new top and I think that is it unless we need something else? Thanks, Martha. Answer: Mustang convertible top windows have material that borders the window. So, when you change the color of the Mustang top, you will need to replace the rear window; if you do not, you will have a convertible top of one color with a window border of a different color. 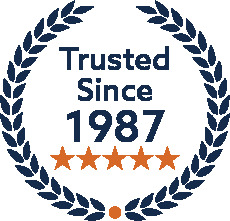 To answer your second question, yes, we do offer packaged items at a better overall price when compared to buying items a la carte; you can view our '93 Mustang convertible top selection here. Question: How much does it cost to have a professional install a convertible top? Can you recommend anyone in Orlando, FL? Thanks, James R.
Answer: Great question! Each trim shop and installer will have their own hourly rate; some may offer periodic specials as well. For this reason, there is no "standard" rate to install a convertible top. Therefore, it's best to contact several trim shops directly to get their rates and compare prices. Please visit our Installer page, here; you might wish to start by checking with John's Auto Upholstery & Convertible, Orlando, FL 32802 (407-299-9552). 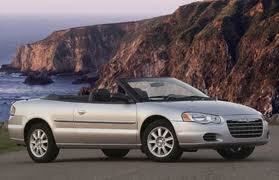 Question: Does this Chrysler Sebring convertible top come with the staples and glue needed for installation? Answer: Great question, because not many people realize that many makes and models of convertible tops require staples and glue to be used when installing a new convertible top. This is true for many cars, including the Chrysler Sebring convertible, pre-2004 Mustang convertible, and many other models. Regarding staples and glue, we do not carry them for purchase, for two reasons. First, glue is considered a hazardous substance when shipping, due to its high flammability; this would make it cost-prohibitive to ship to our customers. Second, there are so many variety of staplers that a customer might have, that it is easier for our customers to purchase them locally; this ensures that they get the staples that fit the stapler they already have. For this reason, the instructions that we include with the convertible top include a few recommendations for adhesive brands and staples that you can find easily at the local hardware store; that is the best place to purchase glue and staples for your convertible top.